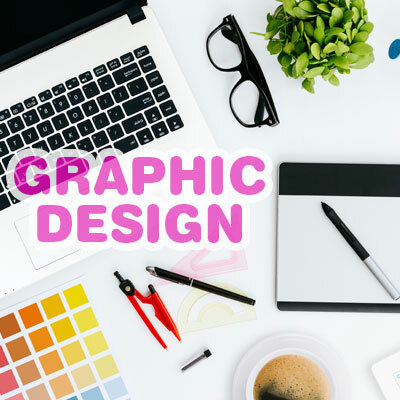 The graphic design industry has changed dramatically over the past thirty years with the move in to the "electronic age". What used to be squeeker drawings, bromides and cut and paste with the traditional scalpel and steel rule, is now done relatively safely on the computer. The tools have changed but the concept remains. Graphic Design is taking an idea and merging creativity and market knowledge together until they take form. That form is then "made real" through the skillful use of the tools of the trade. The real resource though is the creative mind and having the ability to "tap" it. CrewMark offers the skills to produce all your graphic design requirements... from Logo design through to full Branding for your product or service. Your corporate identity represents the "persona" of your company. It is designed as a visual identity for your business or product in order to differentiate you from your competitor. This is where your visual brand image starts. A logo consists of either a name or a name and a graphic icon. Our designers work from your brief to create the logo to best suit you, your industry, your product/service and your budget. The brief is simple, in fact we have put together a logo kit to help you with it. The stationery uses the logo to give a visual representation of your company on your business collateral. The business card, for example, may be one of the first times a prospect customer is introduced to your business... you want that image to stay with them, you want your logo to remain with them. Whether your business is product based or service based, you will need collateral. Every day you will be required to provide some type of business collateral to someone outside your office. This may be simple items like business cards or basic business forms like letterheads, invoices, orders and receipts. By having these basic stationary products branded correctly, you gain an awareness advantage without any additional publicity funding. Brochures and Flyers tend to be the traditional way to provide more information about your products and services. By marrying this type of promotion with a product/service website, you can "capture" your market more effectively. Packaging and point of sale design is an important aspect of product marketing. You may have a great product, but if the box is boring (or too loud) then no one will ever know... people do judge books by their covers. Design itself can sell a product or service, but good content will definitely increase the odds. Copy writing and photography are all important parts of content creation... most of the time you already have the copy within you... it just may need a few tweaks here and there to get it sounding really sharp. This is where we can help you. Photography can be expensive and is not always necessary either. Unless you need a particular product or character shot, most of the time we can search for the right stock photography and manipulate it to you requirements. Although we are happy to work with the content you provide, we can also create it. CrewMark utilises the skills of respected professionals in this area... if we can not provide the solution ourselves, we will find the right person for the job and manage the project for you. Your Brand is a lot more than just your visual identity, it is the reflection of your whole business, from the team in the office to the customers purchasing your products and/or services. It represents your philosophies, your ethics, your ideals and your commitment. It is one of your companies greatest assets, whether you know it or not. In 2006 CrewMark launched it's Signage Division as a response to client requirements. Exhibition and Point-of-Sale signage and retractable banners at realistic prices.